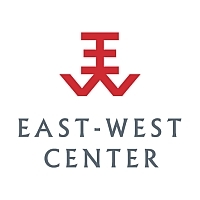 The Friends of the East-West Center (FEWC) is a non-profit, volunteer organization that was established December 12, 1962 and incorporated as a 501(c) 3 on September 30, 1994. FEWC offices are located on the fourth floor of John A. Burns Hall, East-West Center, 1601 East-West Road, Honolulu, HI 96848. The primary objective of the FEWC is to tell the East-West Center story and share its resources with the local community. We do this by promoting public interest in the Center’s mission and activities and by serving as a bridge between the Center and the community. Mr. Katsuro Miho was the first president of the organization and among the founders were such community leaders as Mr. George Chaplin, Mr. Chinn Ho, and Mrs. G. J. Watumull.